I was in charge of the gravure pages of Japan Airlines in-flight magazine "SKYWARD" December issue international edition. 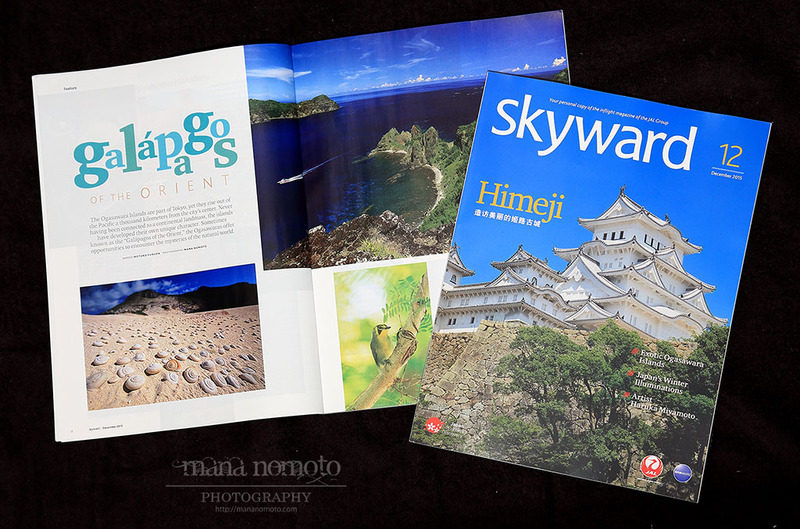 It’s an eight pages article about Ogasawara Islands which is a World Natural Heritage. Please check the in-flight magazine in the sheet pocket, if you fly with Japan Airlines for overseas travel.